Before Tim Burton’s Batman, Heath Ledger’s Joker and the Dark Knight rose, there was the 1960’s version of the caped crusader. And boy, was it glorious. Not only was it delightfully over-the-top, but it was also a pure celebration of the childish joy that comic-books of the era embodied. 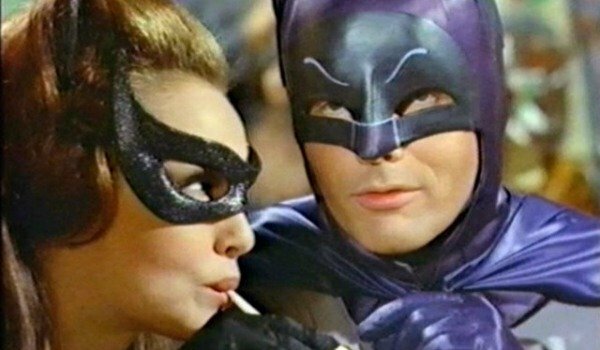 So news that a Batman ’66 animated film is in the works was met with fervent celebration, as should the revelation that Julie Newmar will be appearing. According to 13th Dimension’s sources, the animated film will feature the vocal talents of Newmar, however they refused to confirm whether she would once again be portraying Catwoman. But I’m pretty sure it goes without saying that she will be. Because if she doesn’t, then those involved will have a full-scale riot on their hands, the likes of which has only been seen when Arkham Ayslum’s walls have been penetrated. The aforementioned publication confirmed that Warner Bros. have so far failed to provide a definite answer on this rumor, however their insiders are adamant it’s happening. It’s already been confirmed that both Adam West and Burt Ward, who wonderfully portrayed Batman and Robin, respectively, throughout the 1960s, are on-board for the project too, which means that the film has a full-blown reunion on its hands. 81-year-old Newmar effortlessly portrayed the devilish Catwoman in the first two seasons of the 1960s Batman television show. However, Lee Meriwether replaced her for the 1966 Batman feature film, while Eartha Kitt took her place for the third season of the show. But despite these other performances, Julie Newmar, who also forged a formidable theater career that resulted in her winning a Tony award, has always held a firm place in the hearts of Batman fans across the world. In fact, her portrayal of Catwoman is regarded as the pinnacle of the character. Even Michelle Pfeiffer’s turn as Selina Kyle/Catwoman in Tim Burton’s Batman Returns and Anne Hathaway’s as the feline inspired anti-heroine in The Dark Knight Rises didn’t come close to eclipsing Newmar’s popularity. Both Burt Ward and Adam West confirmed that they’d be returning for the film as the Caped Crusader and Boy Wonder at last weekend’s Mad Monster Party convention in North Carolina. Ward also teased that the animated Batman feature film would be 90 minutes long and would be out in time for the 50th anniversary of the original Batman TV series, which ran from 1966 to 1968.